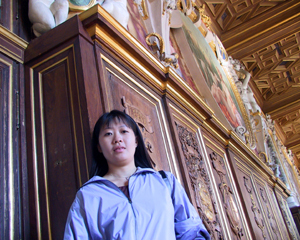 Here's another photo of my wife, Angelia at the hallway. Notice the details of the cravings at the furniture. Even if there was no furniture in the hallway, you will be amazed by the drawings on the walls and ceilings. 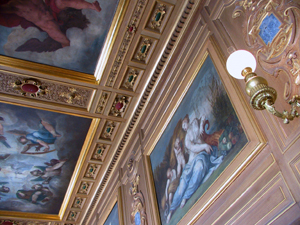 Take a look at this, when I say painting on the ceiling, I really mean on the ceilings. This is the throne room which was originally the King's chambers. 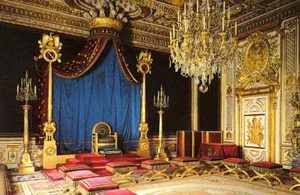 The throne was for Napoleon I. This is the Gallery of Diane. It is about 80 metres long and 7 metres wide. 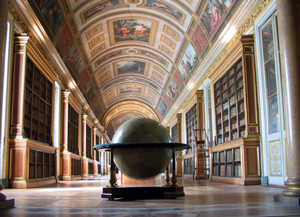 In 1858, it was converted into a library by Napoleon III. 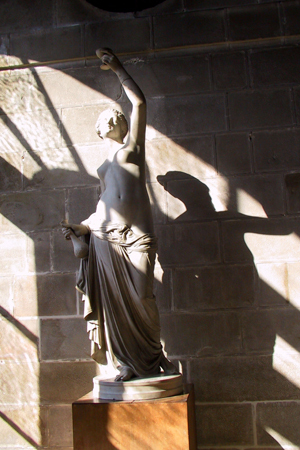 Even the area outside their toilets are decorated with statues. Nothing special about this photo. This is wall surrounding the Fontainebleau. Just liked the stone slabs and decided to take a photo here. It has been quite a cold day, around 14 degrees which is why we are always in our windbreakers. Then again, it is cold in Paris this time of the year. 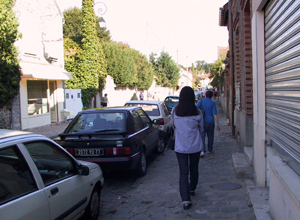 We arrived at Barbizon, also known as the village of painters. Nothing much to see though. Just a small simple village with some small scale shops selling paintings and stuff. That's it for today. Will be going back to the hotel after this and it is off to the flea market tomorrow.